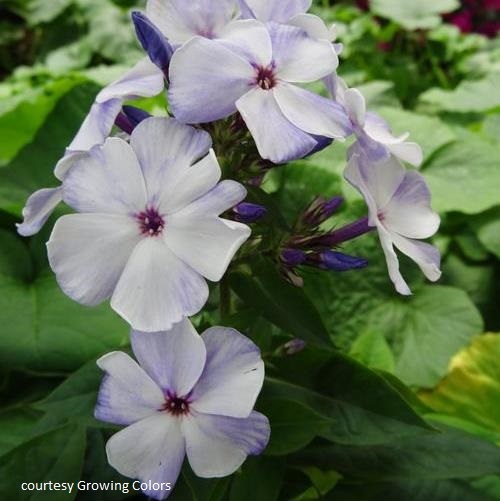 Phlox paniculata 'Flame Blue'. Unique blue flower buds open to white flowers with a blue flush. Strong stems and excellent branching ensure lots of flowers. Compact disease resistant clump. PPAF.